Because in technical diving the surface is effectively inaccessible in an emergency, tech divers use extensive methodologies and technologies and training to manage the added risks. Even with these, however, tech diving admittedly has more risk, potential hazard and shorter critical error chains than does recreational scuba diving. Most people would agree that cave diving is a form of technical diving. 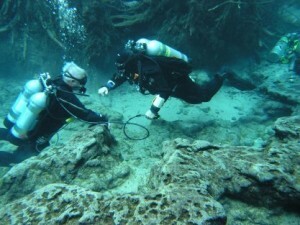 Cave diving developed in the late 1960s and 1970s, developing into a discipline largely like it is today by the mid 1980s. 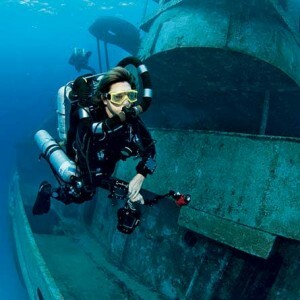 In the early 1990s, several groups of divers around the world began experimenting with technologies for deep diving (beyond recreational limits) to explore both caves and wrecks. These communities united and emerged as “technical diving” or “tech diving” with the publication of aquaCorps (no longer in print), which dedicated itself to this type of diving. Since then, tech diving continues to develop both in scope and in its technologies. 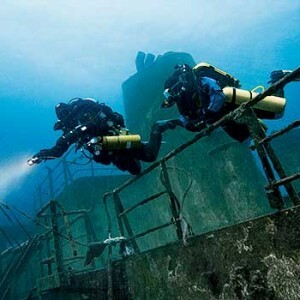 Why would I want to be a tech diver? Tech diving not only has more risk, but it requires significantly more effort, discipline and equipment. It’s not for everyone, and you can be an accomplished, avid top-notch diver your entire life without making a tech dive. That said, there’s a cadre of individuals who want to visit places underwater that relatively few people can. Many spectacular, untouched wrecks lie at depths well below 40 metres/130 feet. Deep reefs have organisms you don’t find in the shallows. 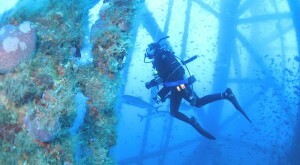 Some people enjoy the challenge and focus tech diving requires. Still others love being involved with cutting edge technologies. These reasons make tech diving rewarding. Tech courses are integrated into an instructionally valid, seamless course flow that takes you from beginning tech diver to one qualified to the outer reaches of sport diving using different gas mixes. The Tech Diver course is an integrated sequence of sub courses: This depends on the certification agency that you select, but for the most part your technical advancement may include Intro to Tech, Nitrox, Side Mount Diver, Decompression Procedures, Advanced Nitrox, Extended Range, Trimix, Advanced Trimix, O2 Gas Blender, Advanced Gas Blender, Advanced Wreck, Cavern, Intro to Cave, Rebreather, and so on. You can complete them continuously, or you can complete each level separately with a time span between them. This gives you learning efficiency, instructional integrity and schedule flexibility. Tech diving uses much more equipment than recreational diving. The technical scuba gear typically uses two to four or five regulators, dive computer(s), and some accessories. 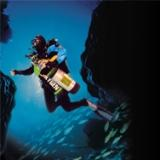 Set an appointment with one of our Tech Diving Instructors to determine the gear you will need for a course. You can find most everything at Gigglin’ Marlin Dive Center. Certified as a Enriched Air Diver and Deep Diver (for this program equivalency is proof of training in recreational deep diving 18 meters/60 feet to 40 meters/130 feet consisting of at least four dives and training in nitrogen narcosis considerations, contingency/emergency decompression, making safety stops and air supply management OR, have a minimum of 20 logged dives deeper than 30 meters/100 feet.). The fun part of Tech is rising to the challenges as you dive deeper and longer than most divers ever do.